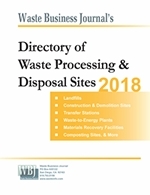 Moody's Cuts Waste Industry Outlook to "Stable"
Rating agency Moody's Investors Service is slightly less optimistic about the waste industry having reduced its outlook from "positive" to "stable" in its latest analysis. 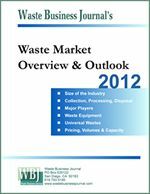 "The slow economic improvement has failed to generate meaningful growth in waste volumes, and the pricing discipline maintained by waste operators during the recession is beginning to fade," said Moody's analyst Bruce Herskovics in a statement. "We're hearing that customers, particularly cash-strapped municipalities, are pushing back when contracts come up for renewal and we believe that operators are bidding more defensively to maintain accounts." Moody's said pricing concessions will lessen the impact of inflation-based escalators that appear in many waste hauling contracts and that C&D waste volumes are not likely to rebound this year. "However, industrial and commercial waste segments have shown firmer trends, aided by better industrial production and retail sales," Moody's added. Also dragging waste volumes are fuel prices and "a long-developing shift in consumer preference for recycling and re-use over landfill disposal." To learn more, visit: www.moodys.com.